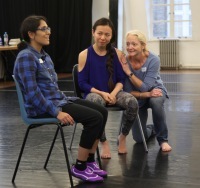 The second London Devised Theatre Intensive ran 7 - 19 October 2018. Photos by Laura Lundy. I've learned so much over these past two weeks. I'm more confident in myself, and more motivated. Before, I was really lost, I wasn't sure what path I wanted to go down. What I loved most about LDTI was meeting a bunch of like-minded people. I was really searching for a community of theatre makers. Here I've managed to find people from lots of different art forms and experiences. I was searching for devising workshops and couldn't find anything in the States... Having the freedom to explore what we wanted, how we wanted, allowed us to each learn about our own process and allowed us to gel as individuals. The creative and expressive potential of puppetry is impossible to ignore in theatre today. This practical and hands-on masterclass will introduce participants to techniques, methods, and approaches towards the effective use of puppetry as a devising tool and performance medium. Oliver Smart has a passion for the expression of character and illusion of life within the inanimate. 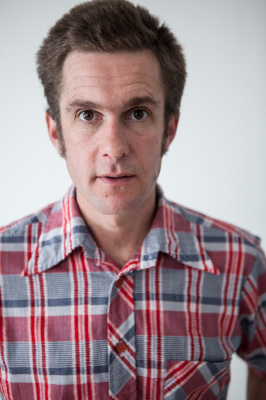 He has dedicated his career as an artist, performer and facilitator to puppetry's further exploration and development. Oliver’s practice blends form, mechanics and movement. Inspired and influenced by the natural world, through observation and research he creates objects and performances which aim to express the essence of their subjects. In 2017 a mechanical butterfly Puppet Flutter - Flight is a Waltz, which Oliver created in collaboration with artist Dominic Harris, was presented at the prestigious Design Basel/Miami exhibition. He has worked with some of the most innovative independent theatre companies in the UK as well as the larger names in entertainment such as Disney, ITV, Nickelodeon, Channel 4 UK and Sony Entertainment Europe. As a puppetry educator Oliver is currently a visiting tutor at Central School of Speech and Drama, Rose Bruford College of Performing Arts, WAC Arts, London College of Fashion and the Little Angel Theatre. He has delivered puppetry masterclasses at the National Theatre London, Saskatoon University Drama Department, Canada and the Latvia State Puppet Theatre. Physical theatre offers an imaginative alternative (and complement) to traditional text-based theatre. Since 2003, Tangled Feet have developed a trademark style of experimental performance, which begins from a process of physical improvisation and play. They create original, visually stunning, transformative performances, sometimes inside theatres but often in other public spaces. Join Tangled Feet co-artistic director Kat Joyce to explore ensemble skills and physical approaches to devising. Kat Joyce is a director, writer, dramaturg and scenographer who for the past decade has been Co-Artistic Director of Tangled Feet, specialising in physical, devised ensemble practice. She has made more than twenty shows as part of the core ensemble, and works inside theatre auditoriums but also outside, finding new and surprising ways to meet audiences and tell stories. Her work is usually politically and socially engaged and often involves an element of participation. Her skills include directing and devising with aerial and circus performers as well as dancers and stunt-people. Kat holds a PhD examining the role of devised, physical, socially-engaged practice in the UK theatre landscape. 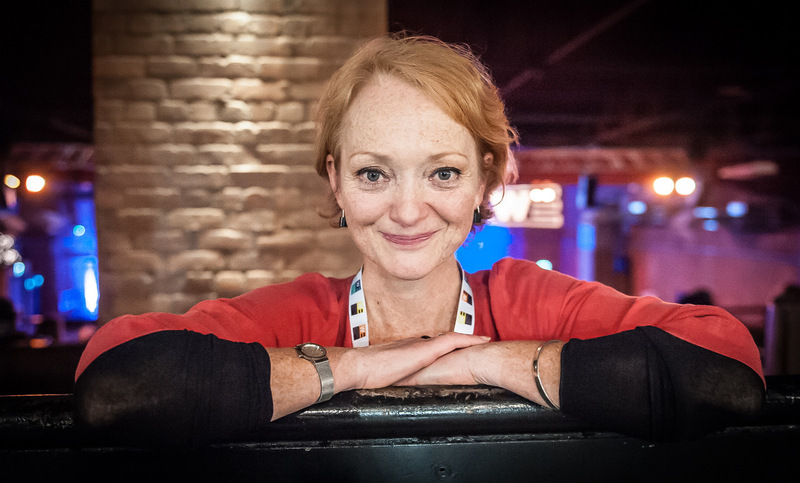 Stella Duffy is writer, improviser, theatre maker and performer. For many years she has used and taught improvisation for performance, devising, creating solo shows for herself and others, and writing novels and theatre. Using a combination of impro techniques, games and writing exercises derived from improvisation, she will look at creating character, dialogue and narrative. Stella Duffy is an award-winning writer with over sixty-five short stories, fourteen plays written and devised, and sixteen novels published in fifteen languages. She has twice won the CWA Short Story Dagger, twice won Stonewall Writer of the Year and won the inaugural Diva Literary Fiction award in 2017. Stella has also worked in theatre for over thirty-five years as an actor, director, playwright, and facilitator, and is an associate artist with Improbable Theatre. 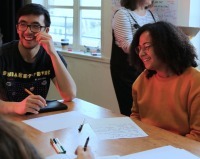 She is the founder and Co-Director of the Fun Palaces campaign for cultural democracy, supporting communities across the UK and beyond to create their own locally-led events using culture as a catalyst for community-building. She regularly writes and speaks on inclusion and diversity issues, especially in the arts sector. Stella was awarded the OBE for services to the Arts in the Queen’s Birthday honours 2016.